My family’s Easter tradition was fairly simple: on Easter morning my sister and I would wake up and hunt for the chocolate eggs hidden around our house by the Easter bunny (or our parents). Normally we’d then go to a morning church service, and in the evening have a family dinner with my grandparents and aunt (normally roast chicken or lamb). My sister and I would amuse ourselves re-hiding some of our eggs over and over for each other to find. The hunting for the eggs was always the main part of the fun. Sometimes we’d find the odd one hidden somewhere a few months later that our parents had forgotten about. 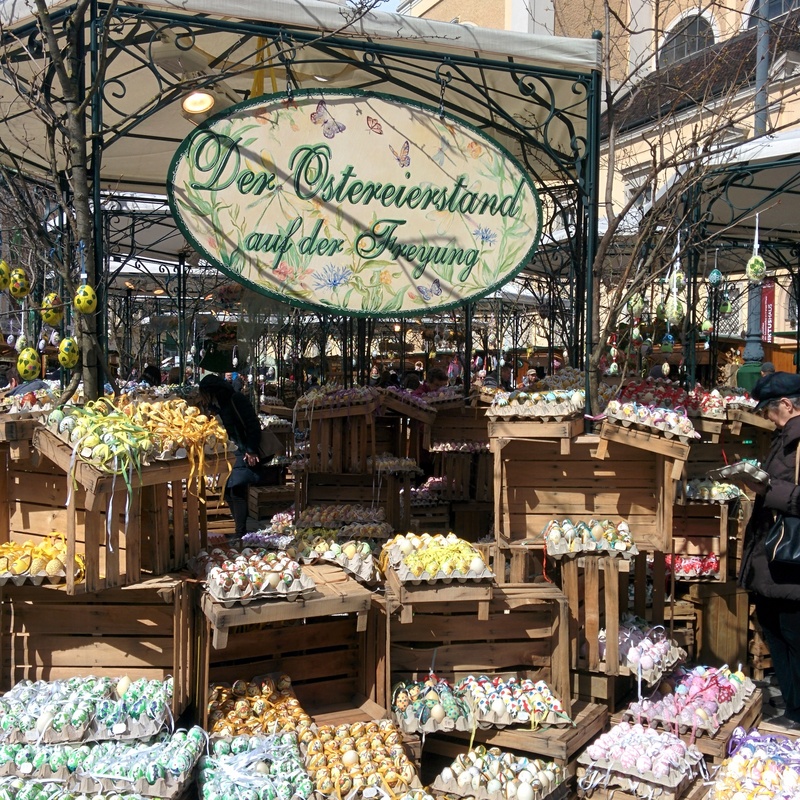 They have many delicious kinds of Easter eggs in Germany filled with various creams, nougats and liqueur cream fillings. 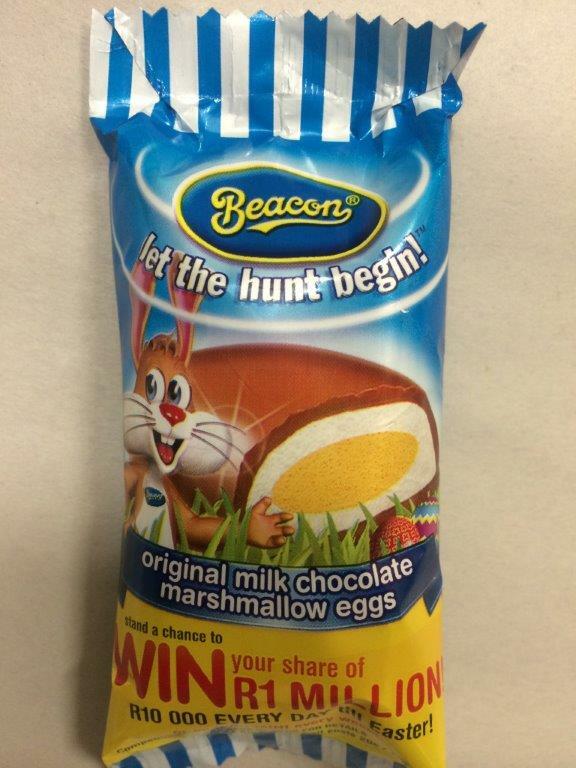 On the other hand I still really miss the basic chocolate marshmallow egg that is so popular in South Africa, which I haven’t really seen anywhere else. It’s an egg shaped marshmallow with a yellow and white centre like an egg, covered in chocolate. Since people of different backgrounds live together in South Africa, you can even buy Halaal marshmallow eggs. I like the fact that everyone can share in different celebrations if they want to. On Diwali, Indian neighbours would always bring us a plate of delicious sweetmeats, and the day after the Eid celebrations some friends would often share some cakes and other treats. 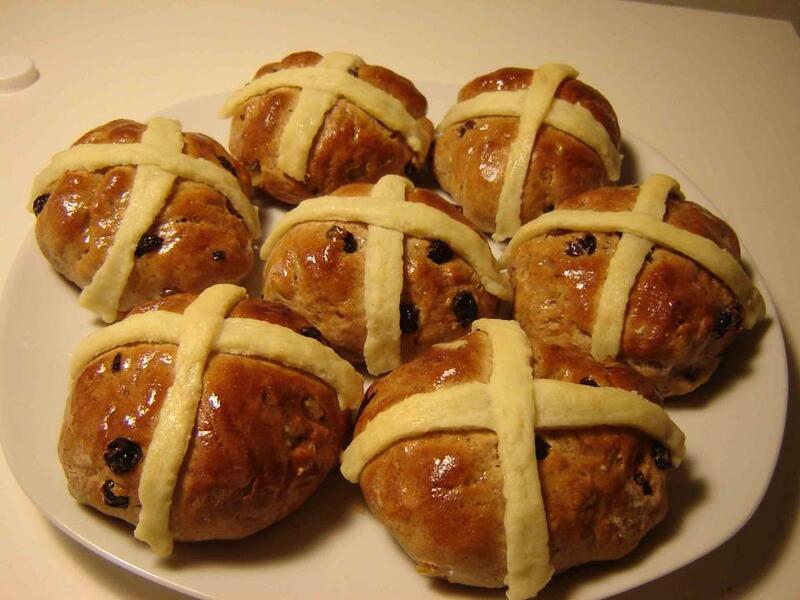 On coming to Europe I learnt about some new Easter traditions. 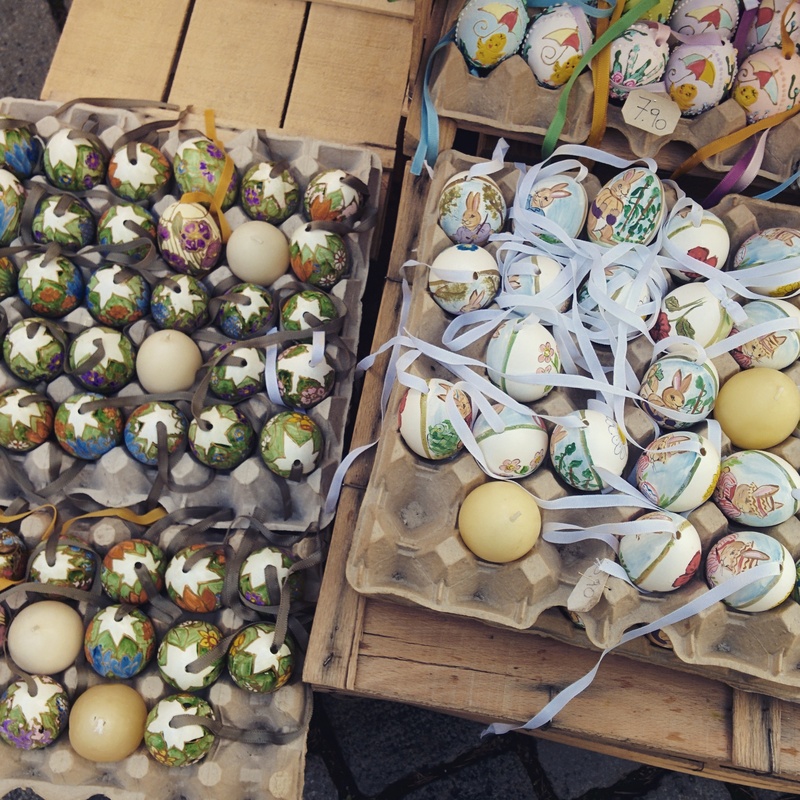 In many countries they decorate eggs, either hard-boiled eggs to be given as gifts or eaten, or empty eggs to be hung as decorations on Easter trees. 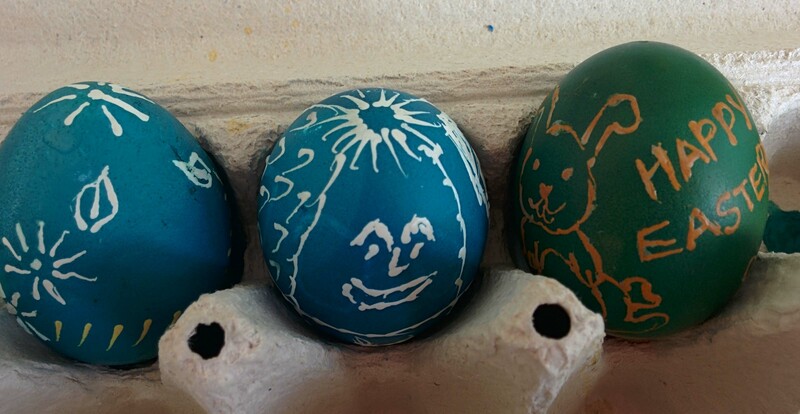 A friend with a Lithuanian grandmother invited me to an Easter egg decorating party. The technique used at the party is one of various ways in which you can decorate eggs: melted wax is applied to the eggs in various patterns using a nail hammered into a twig (the wax is taken from a burning candle), and the egg is then dipped into dye. Various rounds of dipping into dye and decorating with wax can be performed. When the wax is removed by gentle rubbing, the eggshell underneath is a different colour to the eggshell that was dyed – either the natural colour (white eggs work best as the white contrasts nicely with the dye) or the colour of the first coat of dye. Some of the eggs created at the party were really beautiful, my own efforts looked like those of a pre-school kid, so clearly I need practice! 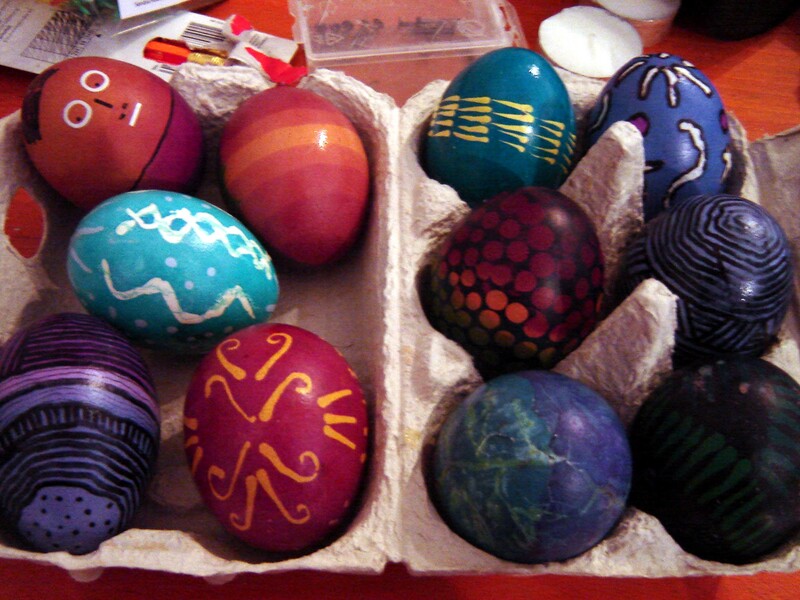 There are also other ways to decorate eggs, such as painting, or applying tattoos with hot water. 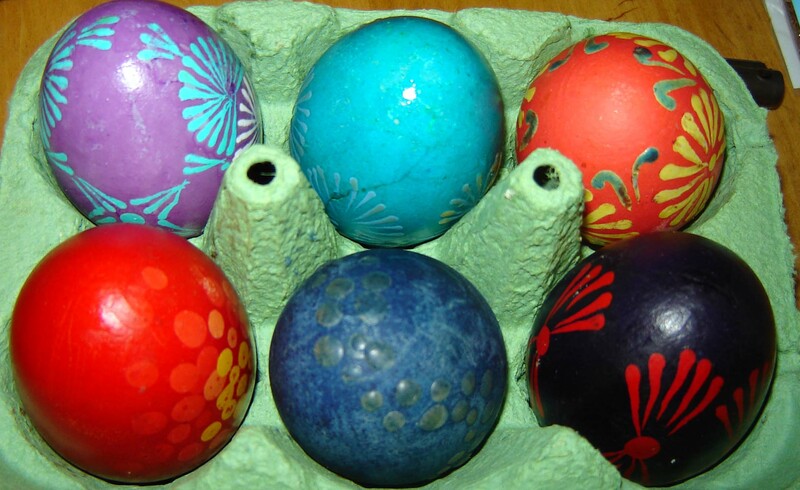 Colour dyes for eggs are sold in all German supermarkets in the months before Easter. 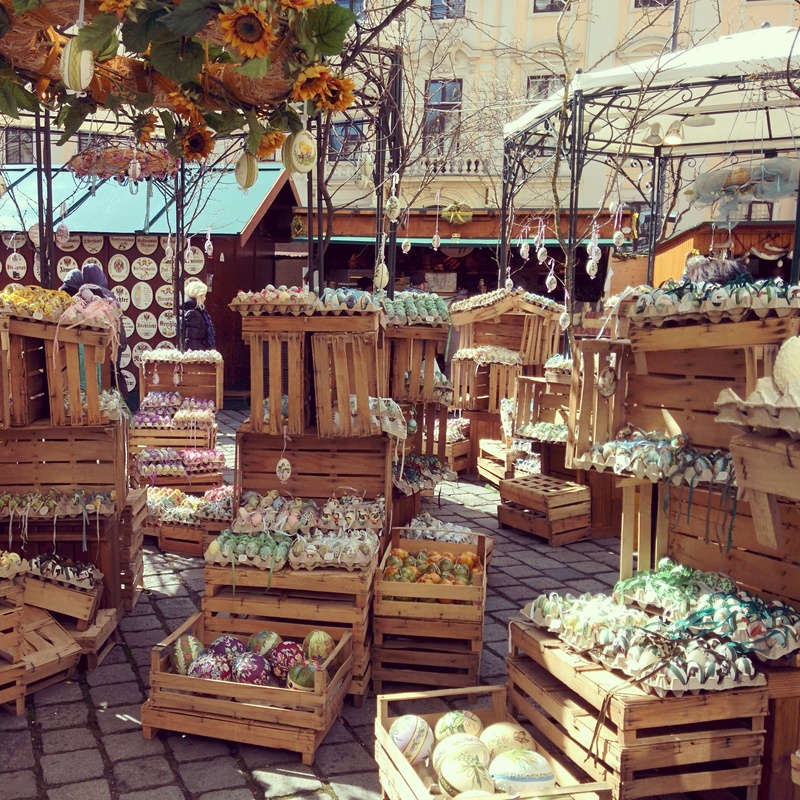 This year on Good Friday we were in Vienna and visited some Easter markets. 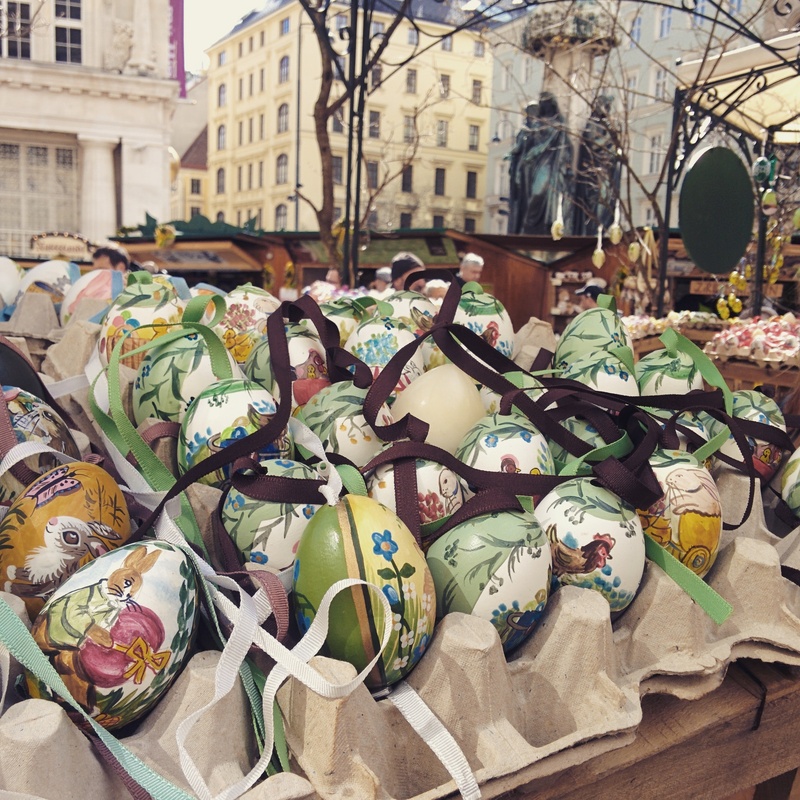 At the market at Freyung were wooden crates filled with thousands of decorative eggs, hand-painted in different ways. At a chocolate/sweet shop I visited, they also had a nice selection of chocolate eggs containing various fillings. 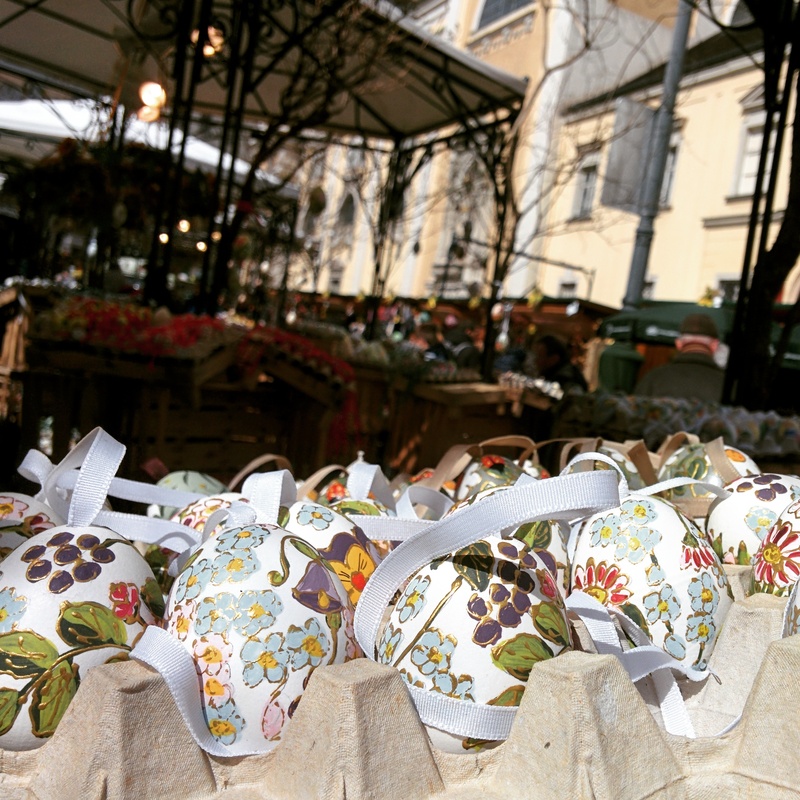 You could pick different eggs, “pick ‘n mix” style, and they also sold decorated hollow eggs made of board, metal or wood that you could fill with little eggs or chocolates as a gift. 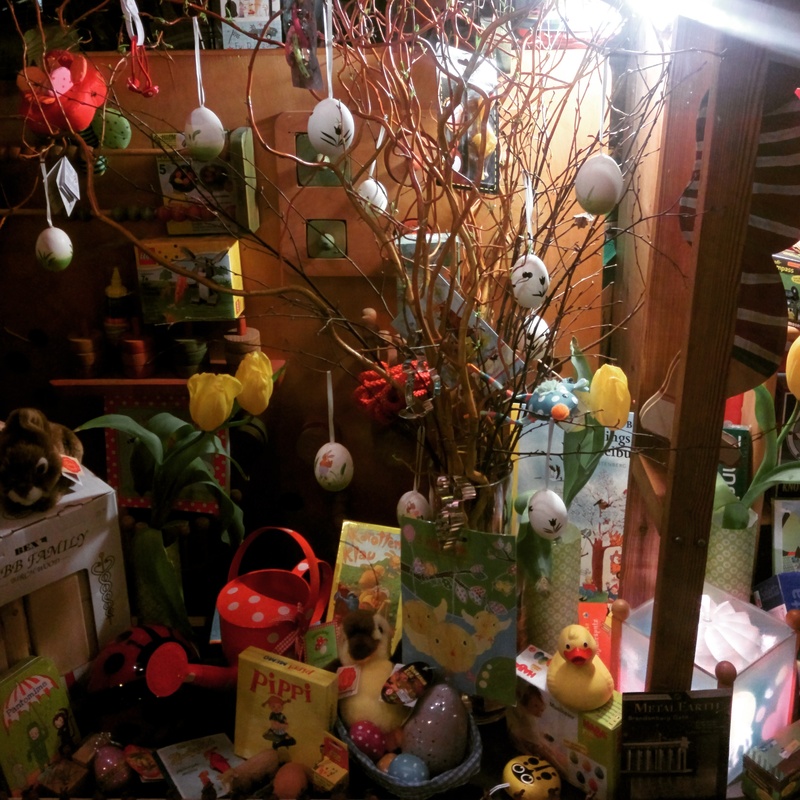 The Easter tree is something else I hadn’t seen before Europe. People either use a real tree, normally a bare one as it’s still early spring, or some twigs, or some branches of a local shrub that translates from Czech as “yellow rain”. 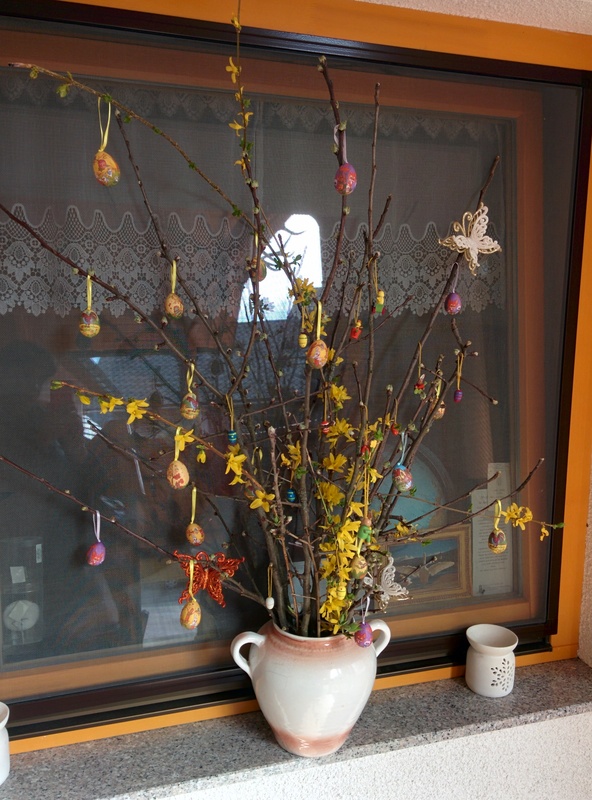 Since we bought some decorative eggs in Vienna, next year we’ll definitely be making our own Easter tree. Some readers commented that in Czech, after midday the water can be thrown by the girls at the person whipping them, which sounds like a fair payback! The writer of the article said she hated Easter Monday as a child and spent one whole Easter Monday hiding under a neighbour’s bed. I can imagine that being tormented by the boys every year might be something you come to dread, but others seem to enjoy it as part of the traditions. I imagine I would arm myself with a nice big bucket of water! Given that this tradition was something I’d never heard about before visiting this part of the world, I would love to hear if anyone has any other interesting Easter traditions. 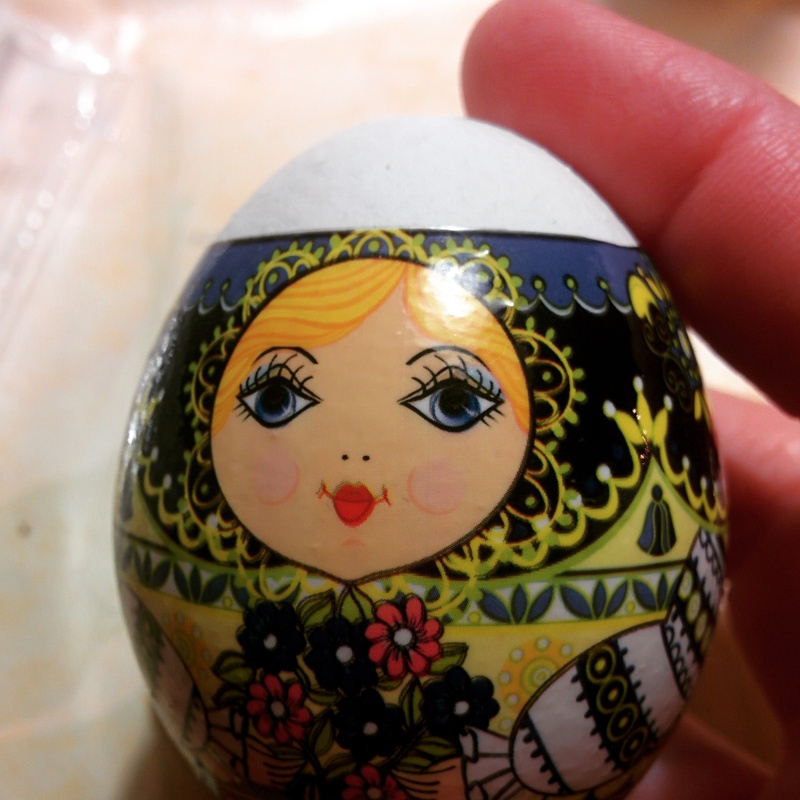 Egg decorated with Ukrainian tattoo.